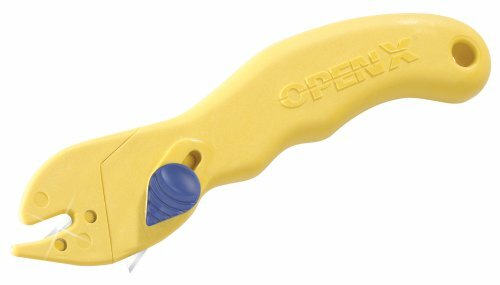 This wonderful new household tool called the "Open it!" has previously been seen on television. 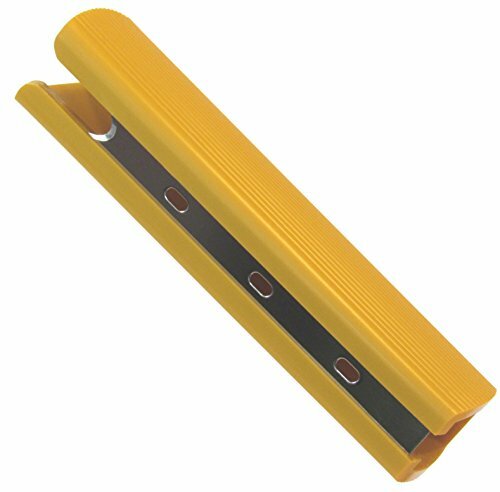 It is an incredibly useful 4 in 1 tool for cutting hard plastic clamshells, blisters, and cardboard, snipping toy packaging, twist ties and straps or slicing boxes, CD's, DVD's, and plastic wrap. You can even use the built in screw driver to open battery compartments or the bottle openers to pop open a drink! Designed with the collaboration of female consumers all over the country, this is one of the most multi-functional tools on the market today! 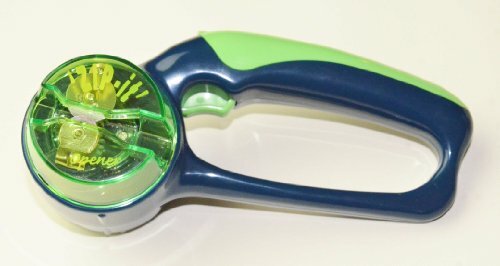 The ZIPIT ...the world's only battery operated blister pack opener lets you easily open clamshells and blister packs for toys, consumer electronics, computer peripherals, cosmetic packages, office supplies and virtually anything packed in plastic clamshell packaging. 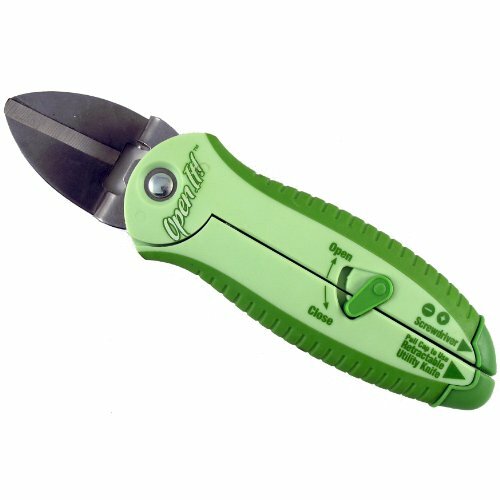 This unique tool offers you a simple, safe way to open clamshell packaging with ease. "The ZIPIT" eliminates Wrap Rage! There are over 6000 reported emergency room incidents resulting from wrap rage. With "The ZIPIT" in your possession, you will never fall victim to the Rage while trying to get into those impossible blister packed items we all know so well. 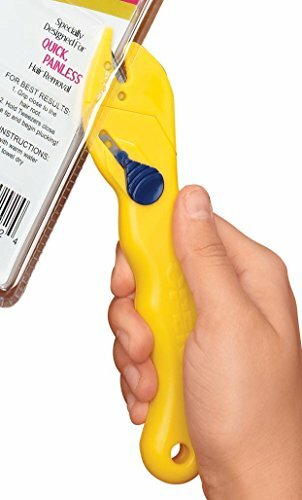 This handy tool includes a protective cover for additional safety. Requires 2 AA batteries, not included. Clamshell Package Opener saves your fingernails and your sanity This package opener handily cuts through tough clamshell packaging in seconds Easily opening boxes, CDs, DVDs, pill containers, water bottles, snack bags and all kinds of packaging, it features easygrip plastic handle and retractable carbonsteel blade. Includes instructions for quick, easy opening. 7"L.
Slit it is the perfect tool for safe and swift opening of hard plastic packages. If you've ever attempted to open one - you know the struggle. Scissors, knives, pliers, box cutters and other tools just don't work well. Every year, thousands of injuries are sustained while opening these types of packages. Its unique ergonomic design protects you from the hazardous sharp edges of sliced packaging - while providing you a balanced cutting action that opens packaging swiftly and smoothly. And depending on preference, can be used in push or pull motion. A precision ground stainless steel blade glides easily through the toughest plastic. And with a solid one-piece design, there are no moving parts to fail - providing you maximum durability and reliability. TableCraft's Stainless Steel Bottle/Can Opener with Wood Handle is the essential tool for the at-home bar. Durable construction for years of dependable use. 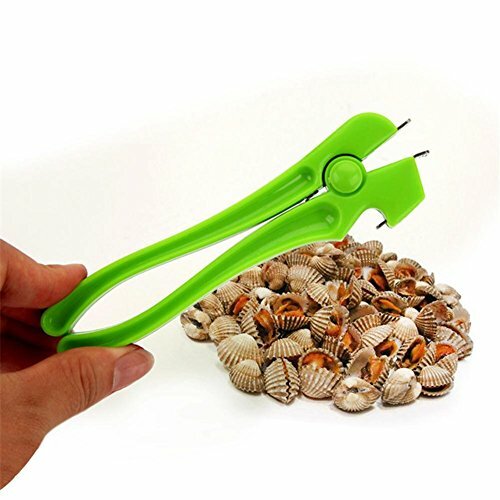 Features:For many kind of clams seafood, open in one second.ABS handle,wear-resistant,non-slip,ergonomic,easy to operate.Specifications:Material: Metal+Plastic.Size: 16*3cm.Color: Red,Green.Note:There could be some slight differences in the color of the actual item.Please allow 1-3cm differs due to manual measurement, thanks.Package Included:1PC * Flower Clam PliersPacking Safely in Bubble Bag. 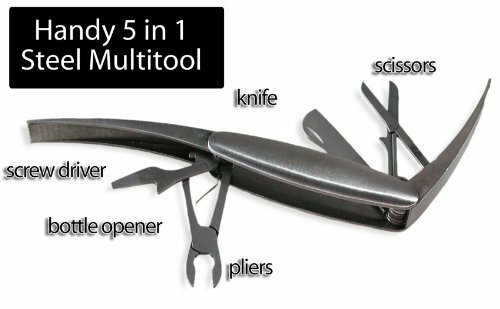 This toolspace twin clamshell 5 in 1 multi tool is manufactured from steel, with a satisfying weight which confirms the robust construction. Easily carried around in the pocket when closed with smoot brushed steel finish outer. Both ends of the tool are hinged to reveal the inner contents and allow uncluttered use.